Publisher: Originally published by Houghton Mifflin and Co.
eBook: Available for free on Project Gutenberg and other ebook sites. 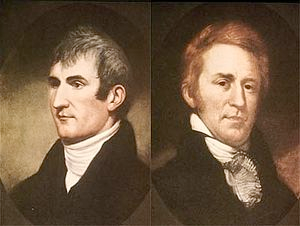 The basics of the Lewis and Clark expedition are well known. Starting from St. Louis, they ascended the Missouri, crossed the Rockies, and then descended the basin of the Columbia to the Pacific, and then reversed course return to St. Louis, twenty-eight months later. Lighton writes in the style of the 19th century, so nothing in this book is breathless, nothing is overstated. But if you read this account with some imagination, the story is compelling. There are negotiations with Indian tribes, constant battles with nature, the difficulty of pathfinding in a great wilderness, and the sheer audacity of travelling such a distance living off the land. I was fascinated by many details, such as the winter encampment of 1804-5, when they setup a blacksmith forge to create simple tools to trade with the native Americans. How could they have carried the rudiments of a forge a thousand miles up the Missouri? Lewis and Clark are well known, but knowing more about their adventure is humbling to those of us who venture out for a few days to have our own adventures. Yackman's Comments: For another excellent read on this amazing expedition, read Stephen E. Ambrose's book Undaunted Courage which focuses on Lewis's role in the venture. It is a tale of extraordinary courage and leadership ability.